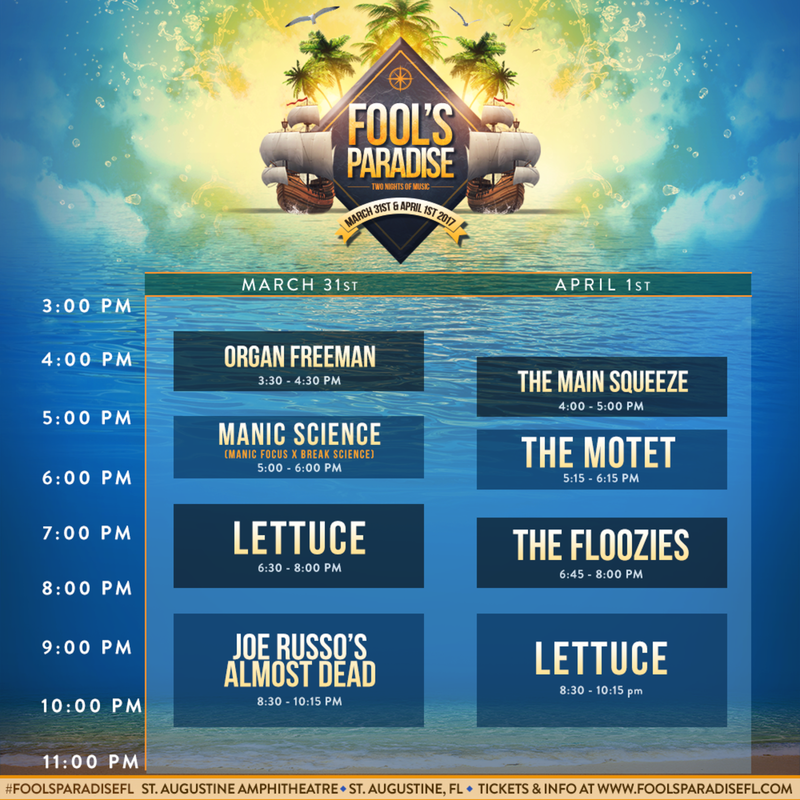 Fool's Paradise hits St. Augustine Amphitheater March 31st & April 1st for a weekend of amazing live + electronic music plus outdoor excursions with band members of Lettuce. 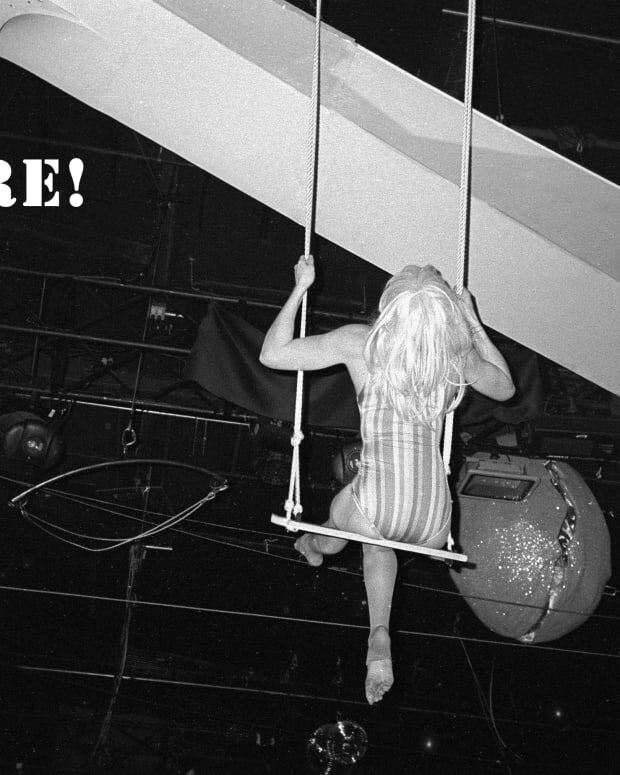 Coming into their second year of Fool&apos;s Paradise, one of the funkiest bands in all of the land, Lettuce, have curated another great and diverse lineup of live and electronic acts to hit North Florida. On top of that, they will also be offering &apos;Artist Excursions&apos; for the second year in a row, giving patrons the option to buy into amazing experiences with members of the band ranging from sailing with the band&apos;s killer horn section consisting of Benny Bloom & Ryan Zoidis, The Shady Horns, who will be DJing soulful tracks on the boat, Putt Putt with Lettuce bass player Jesus Coomes, Antwaun Stanley (Vulfpeck), and Lyle Divinsky (The Motet), and a Ping Pong Tourney hosted by Lettuce/Break Science&apos;s funky drummer Adam Deitch (Lettuce/Break Science) and guitarist Adam Smirnoff. Check out all of the excursions here. Jaw Gems - This five piece live electronic unit has been performing self described &apos;drip hop & ratchet jazz&apos; all over the country, that has been making people groove! If you are into all things J-Dilla, Kaytranada, BADBADNOTGOOD, wait till you see these cats! Manic Science (Manic Focus x Break Science) - This combination will be something special. 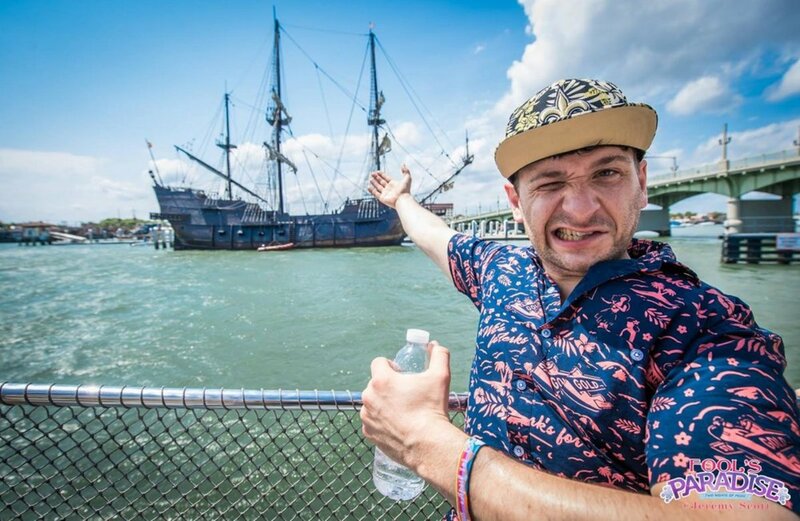 Expect Break Science&apos;s electro funk/Pretty Lights Music vibes to mix right into Manic Focus&apos;s future funk/All Good Record&apos;s sound. You already know drummer Adam Deitch is going throw it down hard, with his partner on keys, Borahm Lee. The Floozies - One of Magnetic Mag&apos;s favorites, this duo consisting of brothers Mark & Matt Hill, have been throwing down some of the hardest hitting funk sets. Expect Zapp & Roger-esque talkbox and guitar licks from Matt, and funky breaks on the drum set from Mark. 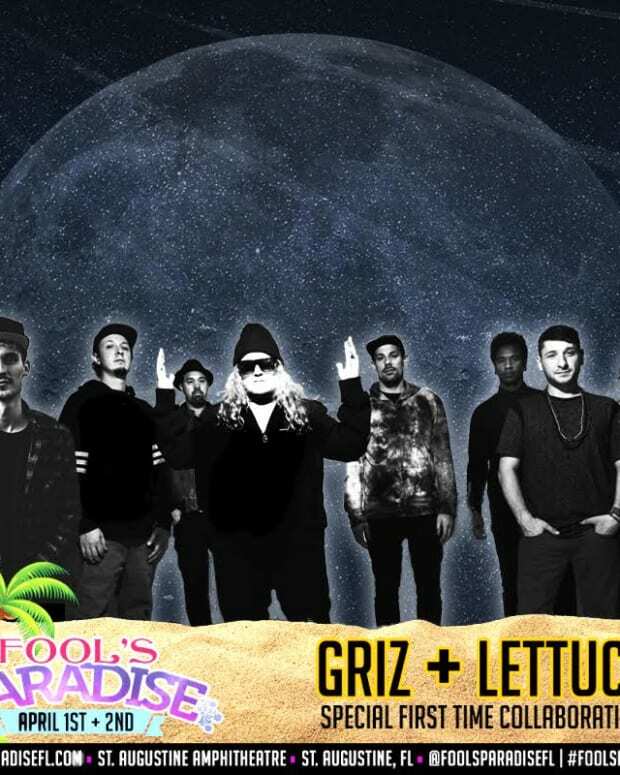 Lettuce & GRiZ to Perform Live Show in Florida THIS WEEKEND! 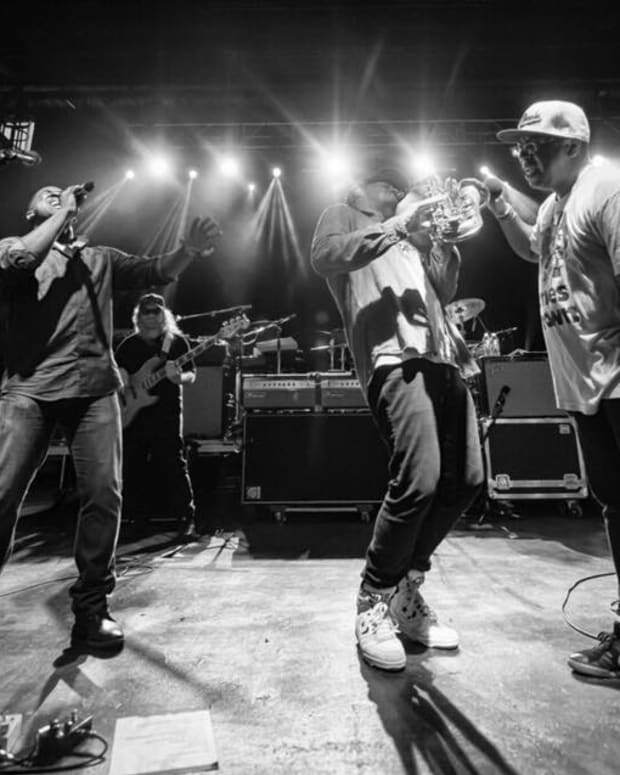 Get a First Person Perspective Look of What It's Like to Be in One of the Funkiest Bands on the Planet, Lettuce!